Resident Evil fans might have been pleased with this year’s movie and pretty great Resident Evil 7 game, although there’s more in store for fans of Capcom’s horror series this year. This is because the eagerly awaited remaster of the Resident Evil: Revelations game will be hitting the PS4 and Xbox One on August 29, while the game will also be coming to the Nintendo Switch despite Capcom saying this wouldn’t be the case earlier this year. Nonetheless, the fact this game is coming out for Nintendo’s new console makes a lot of sense taking into account that Resident Evil: Revelations originally debuted on a Nintendo handheld console (the 3DS) back in 2013. So, this will certainly be good news for Switch owners, who will be able to play one of the best Resident Evil games released to date on the go. 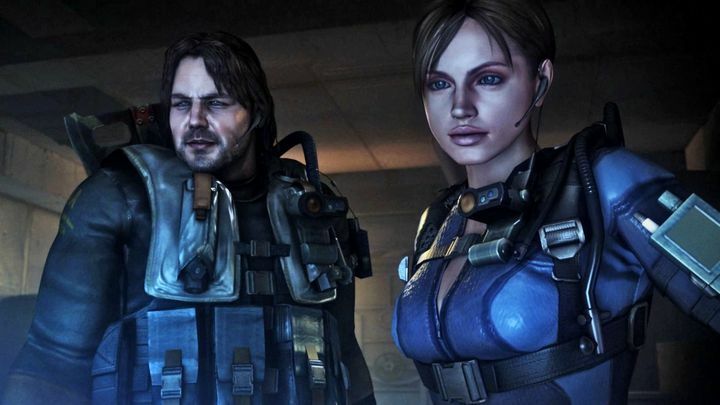 This is because Revelations was not only a return to form for the series after Capcom took a misstep with the dismal Resident Evil: Operation Raccoon City, but also has one of the best settings in a Resident Evil game to date. Actually, the game’s Queen Zenobia ocean liner is one of the most atmospheric and scary in-game locations in a video game to date. The game is scheduled to hit the Nintendo Switch by year’s end, although PS4 and Xbox One gamers will be able to get playing earlier as the game will be hitting those consoles in late August. So this is another treat for Resident Evil fans this year then, and one that devotees of Capcom’s survival horror series will surely don’t want to miss. Note: Resident Evil: Revelations will be released on August 29, 2017. Available on PS4, Xbox One and Nintendo Switch (coming to Nintendo Switch in late 2017).